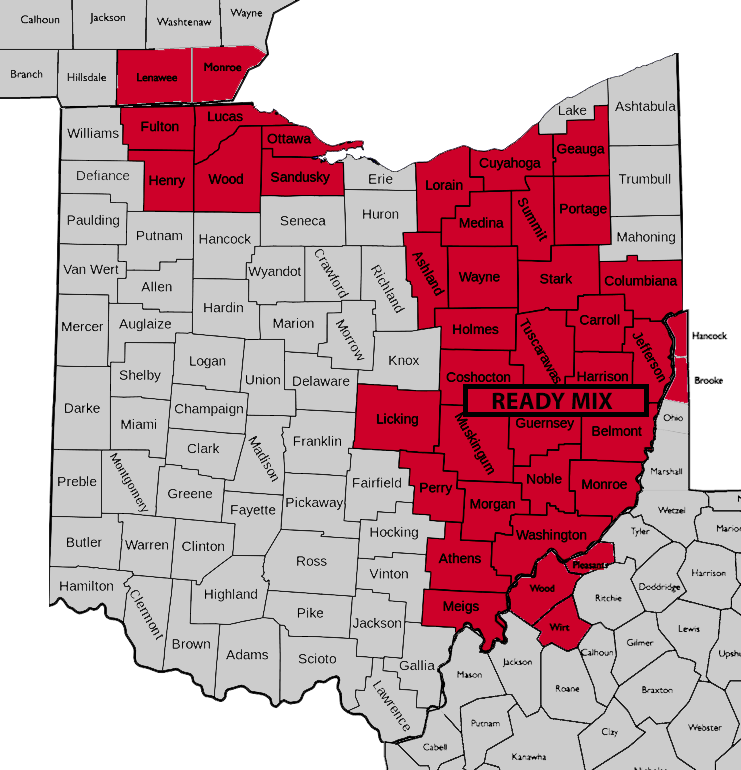 The Shelly Company is Ohio’s leading limestone, concrete and asphalt paving company with more than 90 locations and 1,600 employees to conveniently service 81 of 88 counties in the state. Our years of experience as a limestone, concrete and asphalt paving company and various resources is what makes us a leading provider in road construction and other construction materials. We are Ohio’s leading ready mix concrete supplier, operating 16 ready mix concrete plants and 205 trucks. As the leading supplier of asphalt paving materials in Ohio, we offer a diverse company profile of paving mixtures. We are the state’s pre-qualified limestone supplier for residential, commercial, public and energy sectors. To help meet our customers’ needs, we offer agricultural lime at 16 locations throughout the state. We are Ohio’s top sand and gravel company and offer a full range of sizes for various applications. Use our interactive map to locate any of our 90+ facilities with various aggregates near you.